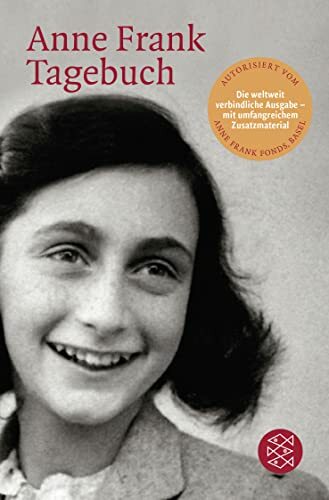 Ich habe Anne Franks Tagebuch auf Englisch gelesen, vor dreissig Jahre, als Teenager. Dieses Mal lernte ich mehr uber die Geschichte der Zusammenstellung des veroffentliches Buches. Auch, weil ich dieses Mal als eine Mutter das Buch gelesen haben, war meine Perspektive verschieden--ich merkte, und war ergrifft von, verschiedene Dinge. Was fallt mir auf, in dieses zweites Lesen? Erst, naturlich, Annes Beziehung mit ihrer Mutter. Annes Einstellung schaut mir jetzt sehr extrem an; sie erklart sich unabhangig ihrer Eltern; ihre Mutter ist "keine Mutter"! Sie hat "keine Eltern;" sie musst "selbst aufziehen!" Der alleiniger Beweggrund, dass ich finden kann, ist dass ihre Mutter ist "Taktlos," und hanselt Anne. Bestimmt, die Franks verstand nicht Annes Stress, und wahrscheinlich wahrnimmt ihr kommen in Pubertat nicht--uberhaupt, warum setzen Dussels Bett in Annes Zimmer? Vielleicht findet sie Erleichterung vom Stress in extremer verbaler Ausserungen. Auch findet ich Annes kleine Liebesaffare mit Peter sehr egreifend. Es war so ruhrend, und so typisch, Annes wachsend Gefuhle fur Peter--sie weisst, dass Peter schluchtern und weniger intelligent als sie selbst ist, und in normaler Leben wurde sie ihm nicht interessant finden. Aber sie fuhlt einen Mix aus Mitleid und Kameradschaft, und beginnt seine blaue Augen zu merken. Und die Beiden wurde innerhalb Monaten tot sein. Es bricht mir das Herz. As always, corrections from German speakers are appreciated--I know there's lots to improve here. Also: can anyone tell me how to get umlauts in Blogger? It does seem intrusive. But the thing is, Anne herself was writing and rewriting the diary with a view to eventual publication (she says this), so... I don't know. I might lean toward giving the older version to a young teen to read, though. Otto Frank very understandably took out the frank sexual stuff, as well as stuff about his marriage that was probably too personal to him. But I read recently that he also took out some of Anne's most unflattering comments about Dussel, because Dussel's non-Jewish fiancee was still living. It seems she took issue with even what was left in. I also find reading much easier than writing, for sure. When reading, you just have to interpret what's there, but when writing, you have to come up with words and sentences from nothing. And both are easier than speaking, of course. I can read fairly competently, write with great difficulty, and speak very poorly, lol. When I write (and these two reviews for this challenge are the first German compositions I've done since college), I think of a sentence in English, then try to say it in German. If I can, I type it in. If I can't, I either alter it to something I can say, or look up a word or expression online. I did that when I wanted to say "a mixture of." I wasn't sure how to say it (I'm terrible at German prepositions) so I used an online dictionary and found "ein Mix aus." The big impression I got from Anne's house was how dark it was. Until I was there, I never thought about how they lived for two years without seeing daylight, unless they went up to the attic. Small dark quarters with lots of people you don't necessarily like and can't get away from, ever. It's easier to understand Anne's outbursts, both verbal and written, having seen that. I'm always struggling with writing in German... The word order is just soooo unlike thought flow, that you have to construct a sentence in bits: put a subject, then a verb, and then fill everything else in between. But writing on a computer is better then on paper, as you can always move the words around. Great review! I understood mostly everything, and now I feel intimidated that I'll never write that well in German. Interesting how your impression of the book has changed with you becoming a mother. It's a book I've always wanted to read, but I'm not sure my German is enough :) I've linked it to the draft of the challenge wrap-up post which will appear in the end of August. It's a difficult book to read in a foreign language, I think. It was the most difficult I've read in German so far. Read it in a language that you're more fluent in--it's been translated into pretty much everything, I'm sure. It's well worth it. I just copy umlauts and es-zets from Google Translate. Or you could go the old way and write "e" instead of the umlaut. I like this review, especially how you've managed to express all your opinions. Usually I get stuck and it's frustrating, because I know the words for what I want to say in English. The book is sad, but unfortunately, even after my second read (both times in English, though), it just didn't touch me as much as I'd expected it would. She seemed sort of naive, which I get it, is the point; how she was so innocent. Being a mother, I suppose you understand it better. You've inspired me to try reading it in German now. It touched me deeply as a teen, because the whole subject of the holocaust was a bit of an obsession with me in those days. I've read a lot about it, including many, many survivor accounts. And now, as not only a mother, but a mother of teenage girls, I notice more about Anne's "teenageness," and get more into her relationship with her mother. I think the greatest texts are like that--we see them in different lights as we encounter them at different points in our lives. Ich habe Anne Franks Tagebuch auf Englisch vor dreissig Jahren als Teenager gelesen. Dieses Mal lernte ich mehr über die Geschichte der Zusammenstellung des veröffentlichen Buches. Auch, weil ich dieses Mal als Mutter das Buch gelesen habe, war meine Perspektive eine andere, wie ich bemerkte, und war ergriffen von, verschiedenen Dingen. Was fällt mir auf bei diesem zweiten Lesen? Zu aller erst, natürlich, Annes Beziehung zu ihrer Mutter. Annes Einstellung schaut mir jetzt sehr extrem aus (That’s actually very common speach! Do you watch any German series? Stylistic better would be: Ich empfinde Annes Einstellung nun als sehr extrem) ; sie erklärt sich als unabhängig von ihren Eltern; ihre Mutter ist "keine Mutter"! Sie hat "keine Eltern;" sie muss sich "selbst aufziehen!" Der alleinige Beweggrund, den ich finden kann, ist, dass ihre Mutter "taktlos" ist und Anne hänselt. Bestimmt verstanden die Franks Annes Stress nicht (Or: Bestimmt hatten die Franks kein Verständnis für Annes Stress), und wahrscheinlich beeinflusste die Pubertät ihre Wahrnehmung stark--überhaupt, warum steht Dussels Bett in Annes Zimmer? Vielleicht fand sie Erleichterung (vom Stress) durch extreme verbale Äußerungen. Auch finde ich Annes kleine Liebesaffäre mit Peter sehr ergreifend. Es war so rührend, und so typisch, Annes wachsend Gefühle für Peter--sie weiß, dass Peter schüchtern und weniger intelligent als sie selbst ist, und im normalen Leben würde sie ihn nicht interessant finden. Aber sie fühlt einen Mix (or: eine Mischung) aus Mitleid und Kameradschaft, und beginnt seine blauen Augen zu bemerken. Und die beiden würden innerhalb weniger Monate tot sein. Es bricht mir das Herz. Thanks Juleschka for taking the time to help me on this again! I was confusing myself with "dazu...in" above--those pesky prepositions. As for "schaut mir," I picked that up in reading, I think Agatha Christie, which would probably have been meant to sound very colloquial. Glad to know about "empfinden...als." I read Anne Frank multiple times in school and a few times in private. I'm Austrian and my country was part of Nazi-Germany from 1938 until 1945. For that matter, we always read the diary from a view point of being responsible for what happend to this poor and innocent child. It was almost not bearable to read it. The teachers and the minstry for education intent of adding it to the curriculum was of course to urge us pupils to never ever let it happen again. It must be enormously difficult to teach about the holocaust in Germany and Austria without laying a crushing burden of guilt on the generation born after. I wouldn't give this book to a child to read, anyway, at least until early teens.